Home > Learning Disabilities > What is Dyslexia? Tom Cruise, Pablo Picasso, Thomas Edison, Walt Disney, Cher and Richard Branson all have something in common, apart from outstanding success in varied walks of life. They are all known or believed to have had dyslexia. It is believed that the brains of dyslexics are structured in such a way that learning readers have problems in connecting verbal sounds with the letters that spell those sounds. This means that despite normal intelligence, they find learning to read, write and spell far more challenging than other children do. Despite the childhood and lifelong difficulties that dyslexics experience, they frequently enjoy above average physical co-ordination skills, empathy, and can be artistically gifted, as exemplified by the individuals in the list above. There are a number of specific learning disabilities, and dyslexia is the commonest, affecting 4-5 % of the population. Dyslexics have difficulty with accurate word recognition and poor decoding abilities. This means that as well as finding reading and spelling hard, they may also have weak short term memory. If they don't get specialised help, then they usually read at levels significantly lower than expected, despite normal or above average intelligence. Characteristics common to dyslexics include poor phonological processing (meaning that they find it hard to manipulate sounds), and reduced speed of visual-verbal responding, compared to the rest of the population. Other, rarer specific learning disabilities that may occur despite normal intelligence include dyscalculia and dysgraphia. In dyscalculia, grasp of arithmetical and other mathematical concepts is impaired – simple adding and subtracting can be a lifelong problem. In dysgraphia, letter formation and writing are affected. Dyslexia occurs due to a neurological problem, so it is present from birth, but is only noticed when a child starts to encounter written words, when they seem not to "get" the concepts with the speed that other children do. The condition is lifelong, as the fundamental neurological make up of a person cannot be altered. But nowadays there are many teaching methods and technological adaptations that can greatly minimise the effects of the condition on a person's life. As the list above illustrates, dyslexics have pursued a wide variety of careers with great success. Boys and girls seem to be equally affected according to research, but interestingly, about three times as many boys as girls receive additional teaching because of dyslexia. A high proportion of dyslexics have at least one left handed relative, and dyslexia tends to run in families, so several genes are thought to contribute. However, the pattern of inheritance is not yet clearly understood, so there is no way of predicting whether or not the children of a dyslexic parent will be affected. What Kind of Problems May Dyslexics Have? Dyslexic children may be late in learning to talk, and when they do learn, may speak unclearly, despite being bright, and quick developers in other ways. But at this stage, there's no way to diagnose the condition, as late talking alone does not by any means indicate that dyslexia will show itself later in life. Once they start to learn reading and writing, difficulties may become apparent in comparison to the rest of the class, especially with spelling. Reversal of figures, letters and words, such as b and d, 6 and 9 and tap and pat. Reading a word at the top of the page, but not managing the same word when it reappears at the bottom. Good oral answers in class, but poor written ones. Many normal children may do some of these things while learning to read, but dyslexia is suspected if the problems are persistent and the child is reading and writing at a level far below his peers, despite normal intelligence, and educational input. As they get older, dyslexic children who have not been identified and given special help, may have difficulties with reading and spelling accurately that hamper their ability to take notes, copy, plan and write essays. 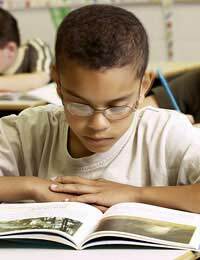 They may find that they read a story or textbook section without understanding the overall meaning because they were concentrating so hard on trying to read the individual words. They may never discover the delights of reading for pleasure. All of this can be tremendously confusing and distressing both to the child and the parents, as it is clear that the child is bright, yet unclear to everyone why he is falling behind at school. The discrepancy between his intelligence and his abilities can be immensely frustrating, his self confidence can be damaged and he may become reluctant to go to school at all. The good news is that after appropriate professional assessment and educational intervention strategies, in most cases, a dyslexic child can succeed in school at a level roughly equal to his or her classmates. I am 60 years old and have developed dyslexia and memory problems 3 years ago. No head injuries or serious lack of sleep. All physical tests pass but Neuropsych tests indicate definite memory problems. No diagnosis has been possible due to all physical tests passing except for slightly decreased Vitamin D levels. Leaky gut syndrome ventured as possible guess. Any other guesses out there?